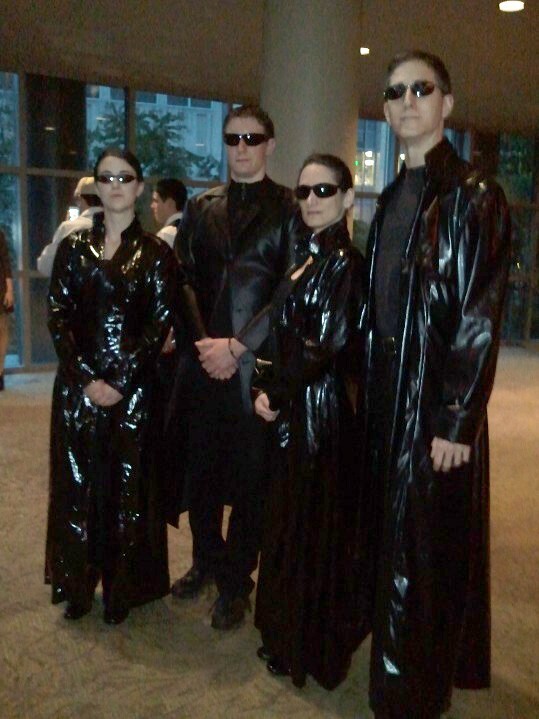 The Seattle Symphony played the soundtrack to the Matrix with the movie playing in the background on a big screen. The conductor was the composer of the Matrix soundtrack. It was like watching a movie in the most EXTREME surround sound ever! It made the fight scenes about a thousand times more intense. The only downside was that the screen was not as large as I expected it would be. I guess you were supposed to look at the orchestra as much as the movie. If you add me on facebook you will be able to see a picture on my timeline of the screen above the orchestra. Wow, you have a really good face for Trinity! Thanks. I'm so used to smiling when people take my picture in costume that Darryl had to remind me that we weren't supposed to smile. Ha! You have the Trinity expression down pat. That picture looks great.